Were you looking for way to animate your avatar photo on Google Plus profile? Well, this is officially possible as Google Plus profiles now support animated gif images to be used as profile photo. Use of animated gifs on social networking websites always had divided opinion: some love it while other simply hate it. Google Plus has implemented use of gif is less distracting manner, read on. If you are concerned of too much animation visible while you read news feed posts, then don’t worry. 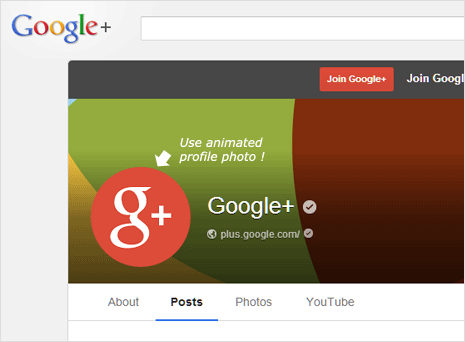 Gif profile photo appear in animated format only on your main Google Plus profile page. Gif photo animation is disabled on when you are avatar photo appear on other pages like on news feed. There first frame of you animated gif is displayed as your profile image. 1. 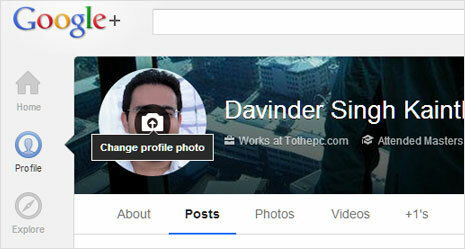 Once you login into Google+ account, click on your profile image to view profile. Then on your profile page, hover mouse over profile image and click on “Change Profile Photo” option.